The Higher Organising Committee of IWAS World Games Sharjah 2019 confirmed that 1,462 participants from 50 countries are set to compete in the world’s largest wheelchair and amputee sports championship in Sharjah from February 10-16. Held under the patronage of His Highness Sheikh Dr Sultan bin Muhammad Al Qasimi, Supreme Council Member Ruler of Sharjah, the IWAS World Games has returned to the emirate for the second time after its successful debut in the city in 2011. The eighth edition of the world championship brings together seven games including archery, athletics, badminton, swimming, shooting, table tennis and wheelchair fencing. 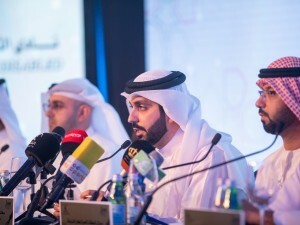 New details of the upcoming biennial sports championship were revealed at a press conference held recently at Sheraton Sharjah Beach Resort & Spa. Global athletes landing in Sharjah over the next few days are set to represent 50 competing nations confirmed by the Higher Organising Committee which include the UAE, Kingdom of Saudi Arabia, Bahrain, Kuwait, Algeria, Yemen, Syria, Iraq, Egypt, India, Sweden, Ukraine, Thailand, Turkey, Brazil, Portugal, Switzerland, Japan, Australia, Kenya, Russia, China, Ireland, Kazakhstan, Italy, South Africa, South Korea, Poland, Pakistan, Norway, Kenya, Latvia, Macau, Azerbaijan, Canada, Croatia, Cyprus, Estonia, Germany, Serbia, France, Georgia, the UK, the US, Hong Kong, Greece, Czech Republic, Austria, Belarus and Comoros.